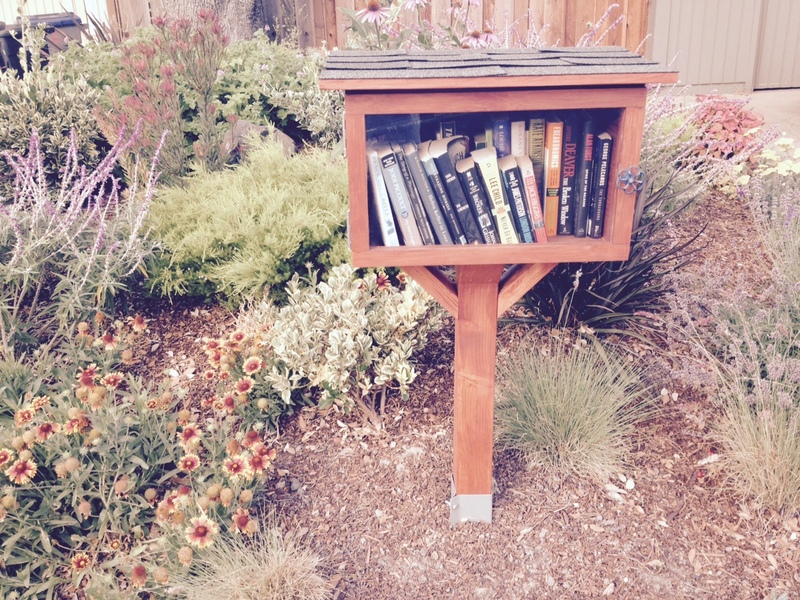 Among the amenities of our neighborhood are seven Little Free Libraries, which have proved very popular. 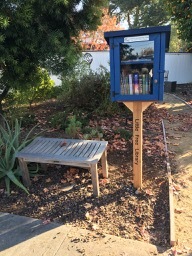 If you’d like one at your home, go to littlefreelibrary.org for information. 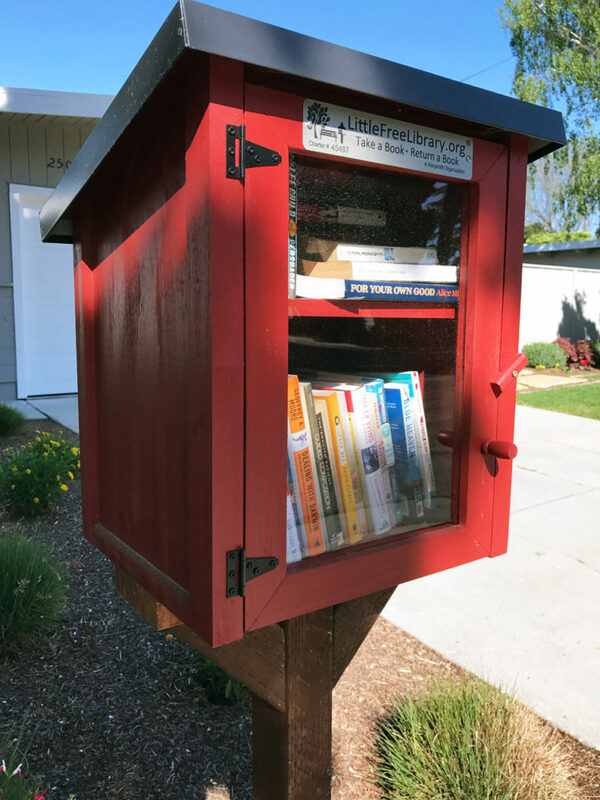 The city’s Neighborhoods Committee has authorized the MLNA to partially pay for them from our city grant fund, so contact an MLNA board member if you are interested. 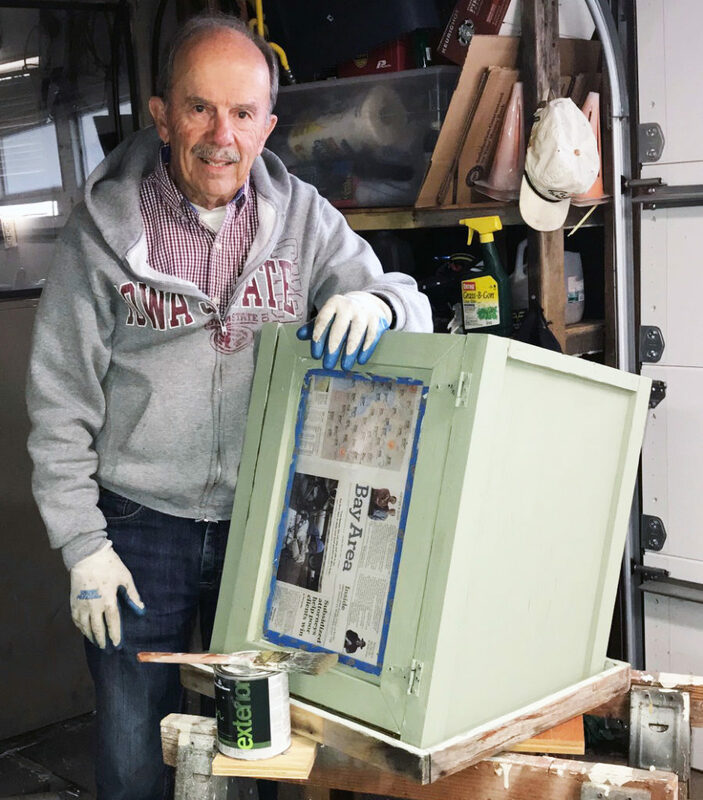 In December 2017, Jim Cochran restored the badly weathered LFL on Lassen with paint and a weather-proof roof. 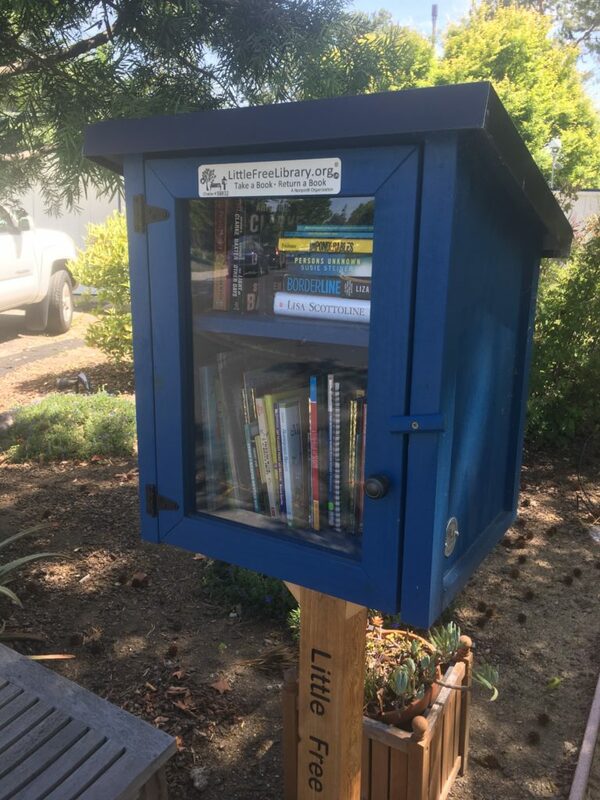 The LFL on Lassen is back in place after its restoration. 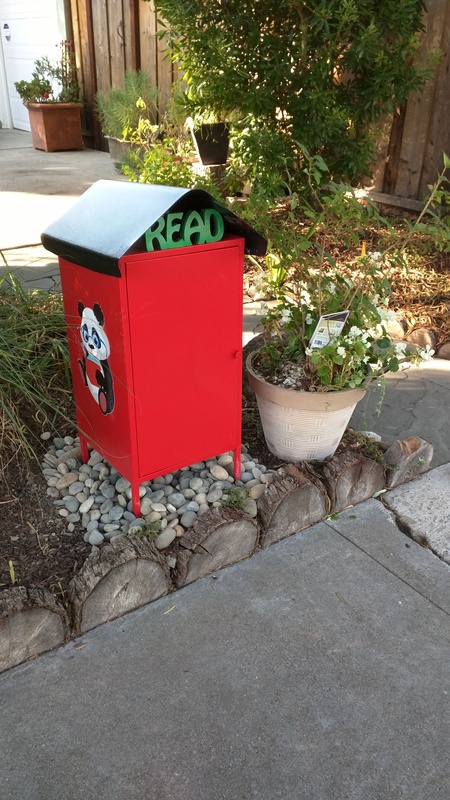 … and it has a bench beside it for easy browsing. 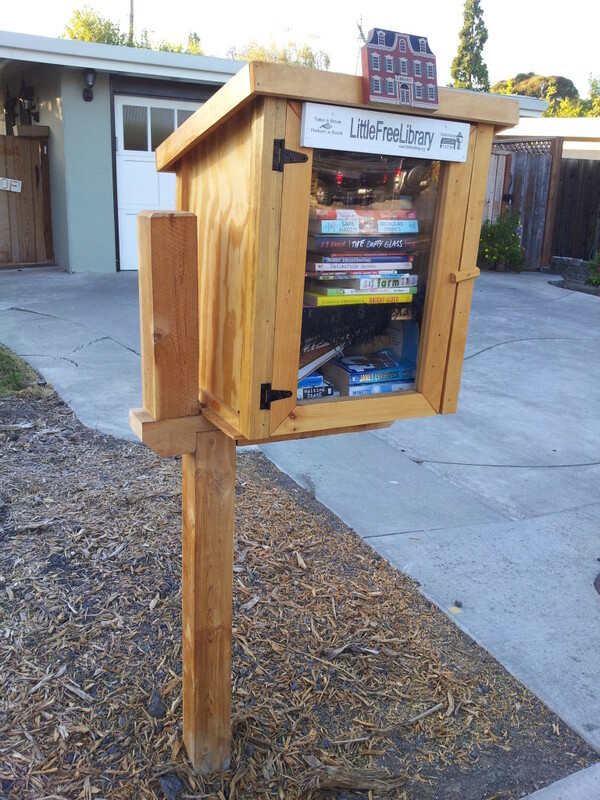 Karla Valente’s new LFL is on Fay Way near Jewell. 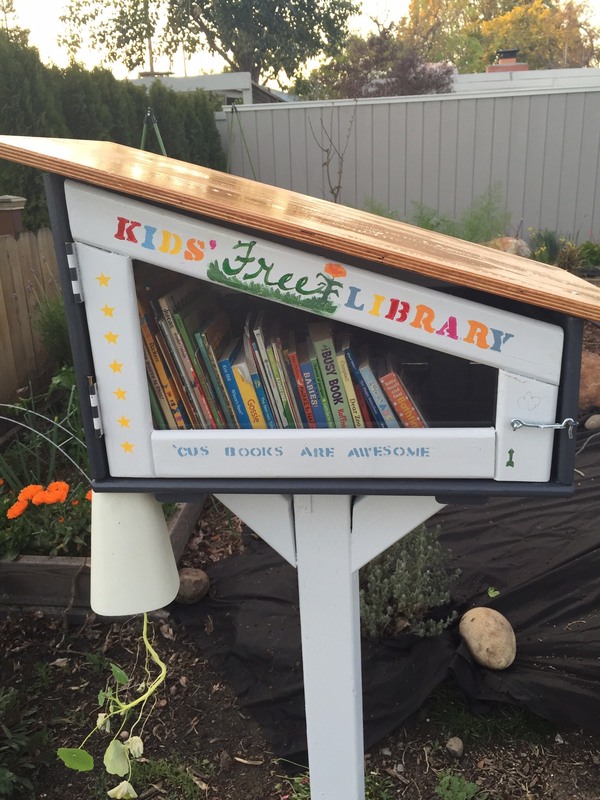 It currently has kids’ books but adult books are welcome, too. 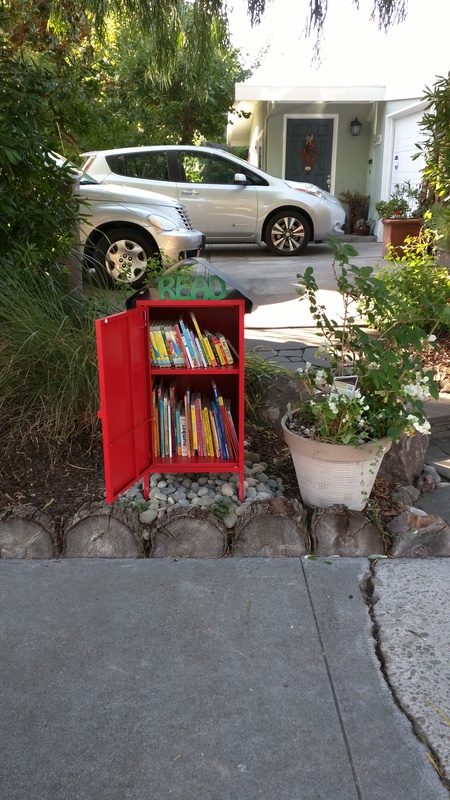 Maricar Abaya-Antonio’s Little Free Library on Fay is for children’s books. It was built by her students’ parents and inaugurated with an unveiling ceremony in April 2017. 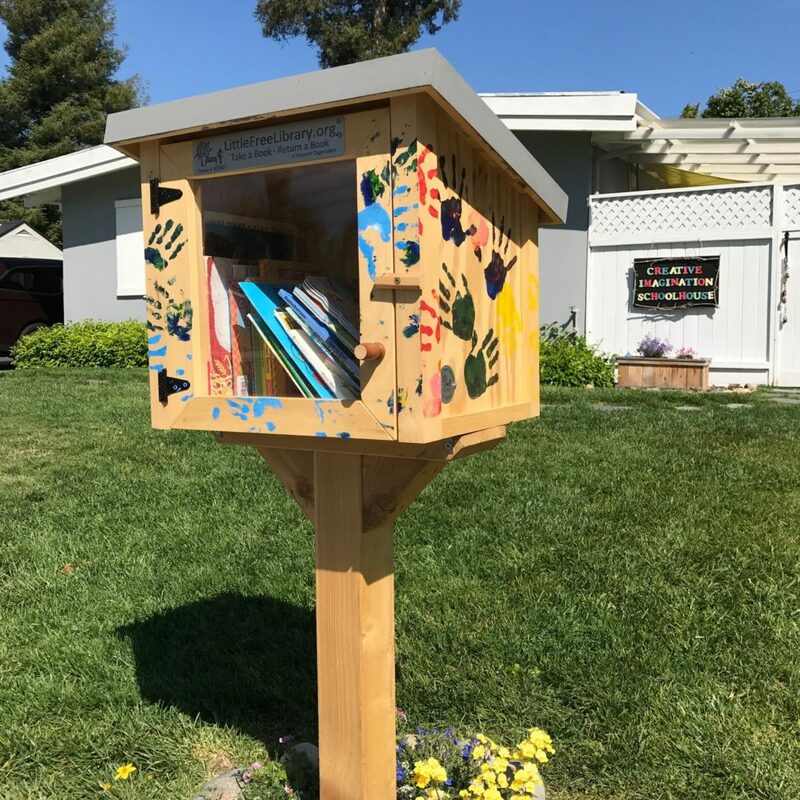 Jim & Judy’s Little Free Library in the 2500 block of Dell was a gift from their children in 2017. 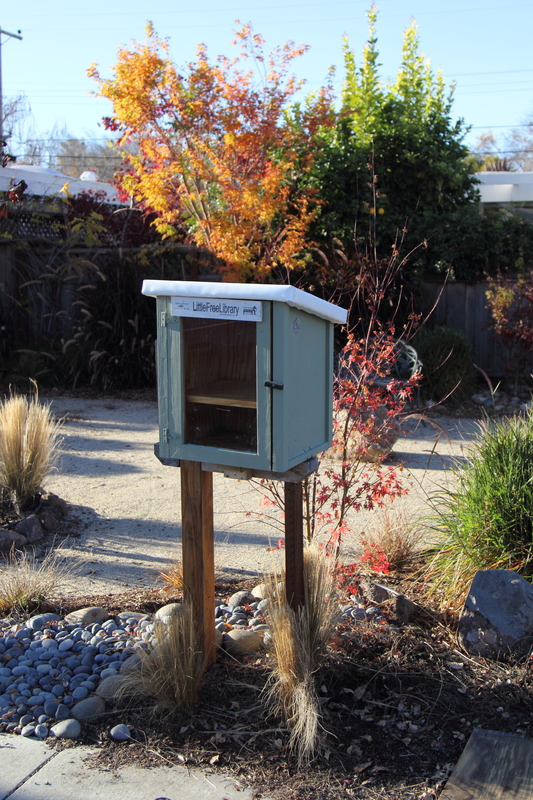 Alice’s Little Free Library on Lassen was the neighborhood’s first, in 2014. 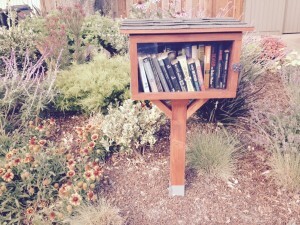 The new owners of her house asked her to leave it here when she moved to Corvallis, so she did. for children on Hamilton. 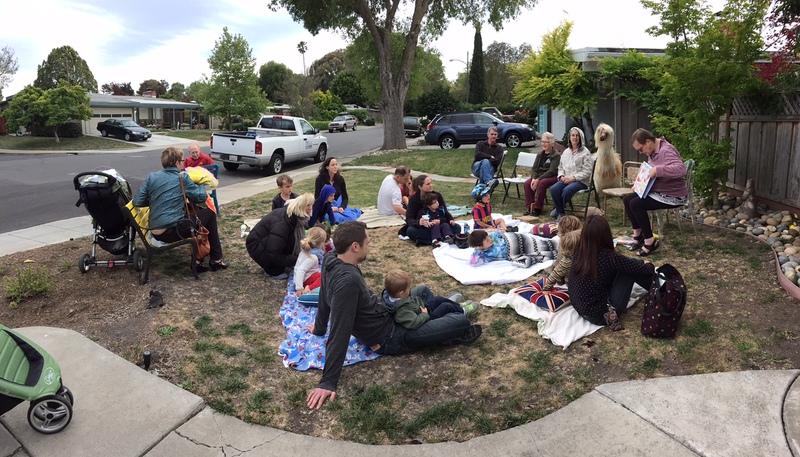 It was their son’s request for his fourth birthday. This one, on Alvin, was built by the Whitson family in summer 2015. 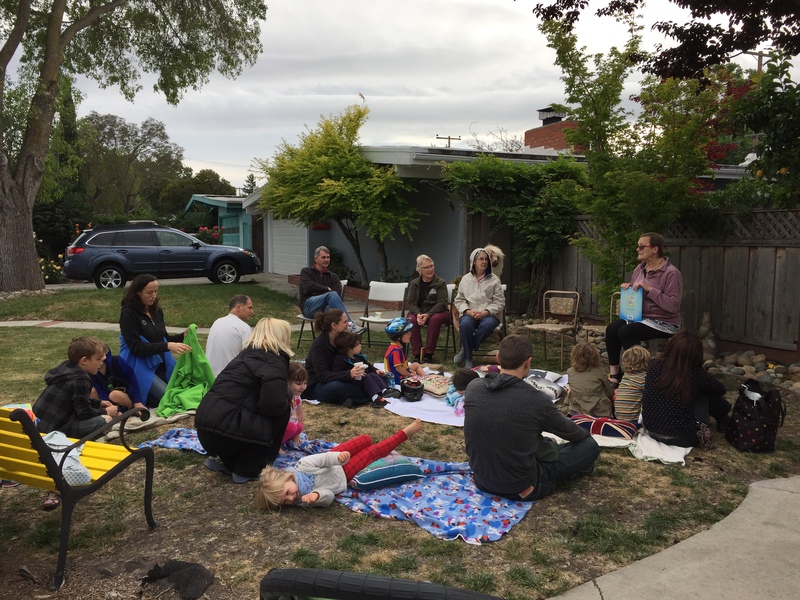 Alice’s first story hour for children in 2015 attracted grandparents, too. Even her full-size rocking llama listened attentively.